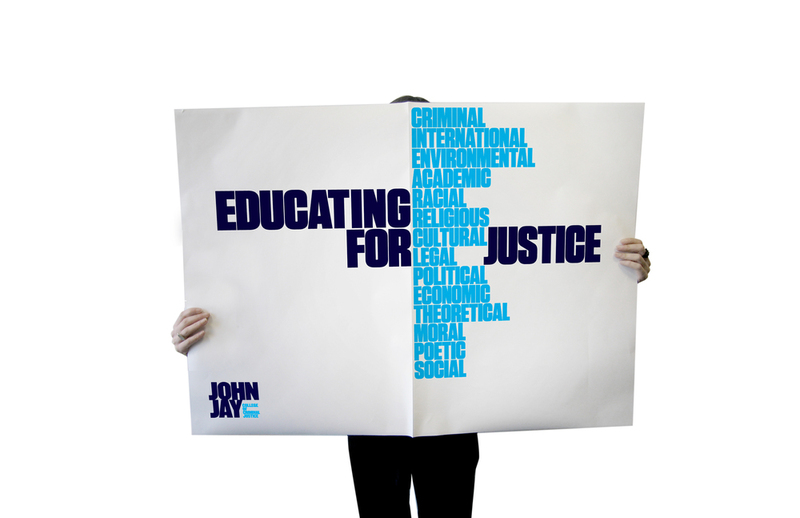 The John Jay College of Criminal Justice is a senior college of the City University of New York in Midtown Manhattan, New York City. 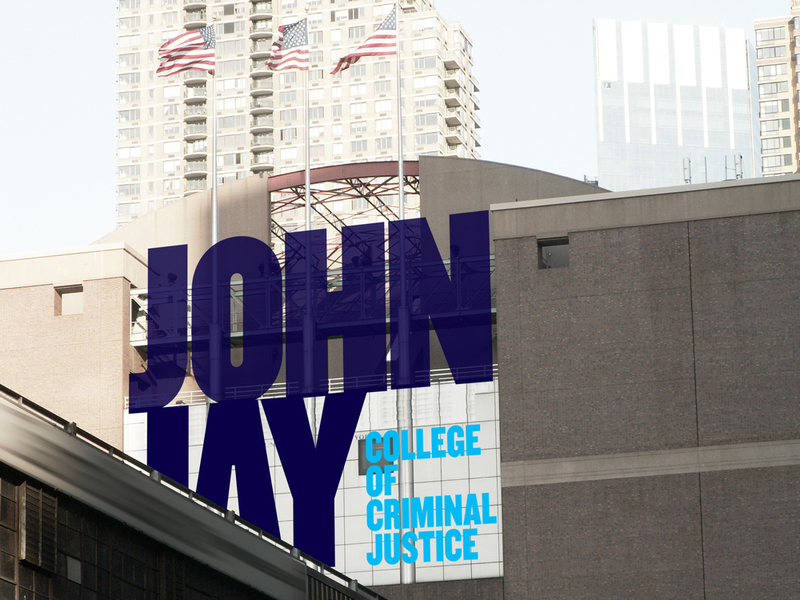 John Jay College of Criminal Justice, a part of the City University of New York, had a robust liberal arts program but was mostly perceived as a “cop college.” Siegelvision was tasked to drive a deeper understanding around John Jay’s role in educating for justice and get the world to recognize the vast possibilities offered by the John Jay experience—energizing students, prospective students, faculty and donors in the process. 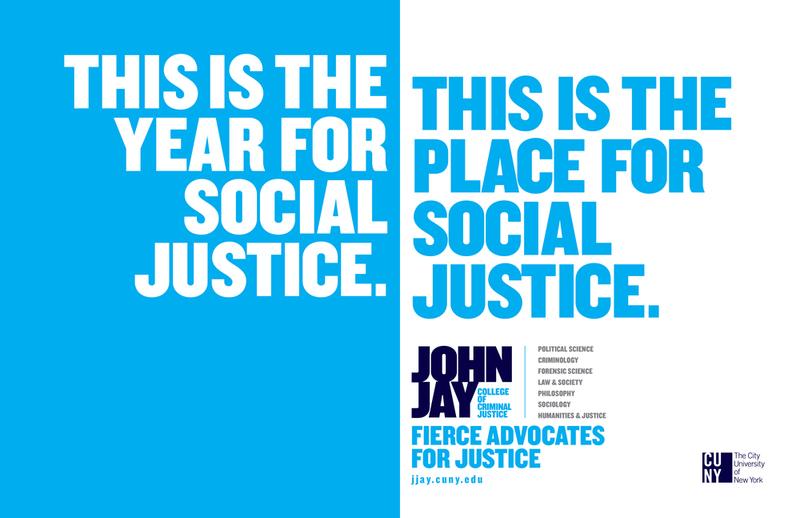 The purpose—uncovered and expressed by Alan Siegel’s team was a powerful idea: John Jay fosters “Fierce advocates for justice.” The phrase captured the special essence of John Jay and resonated with the idealistic young, as well as with faculty, board members and donors who aspire to be part of a purpose-driven institution. 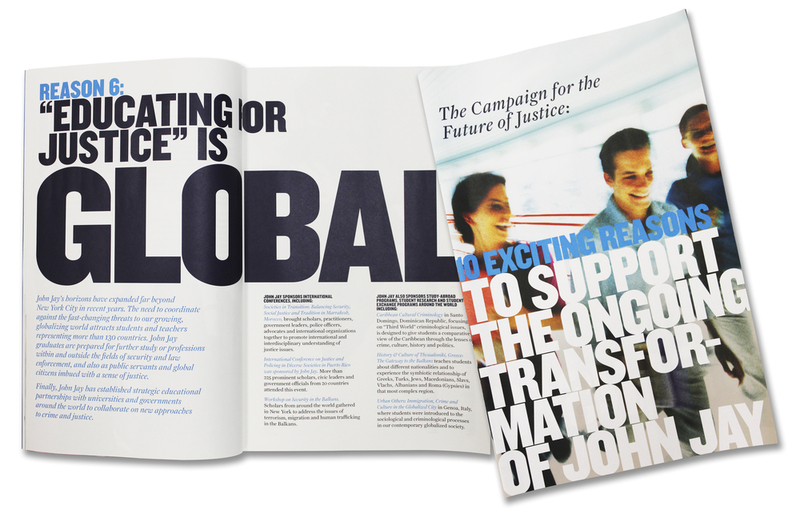 Our branding for John Jay sparked and directed action. 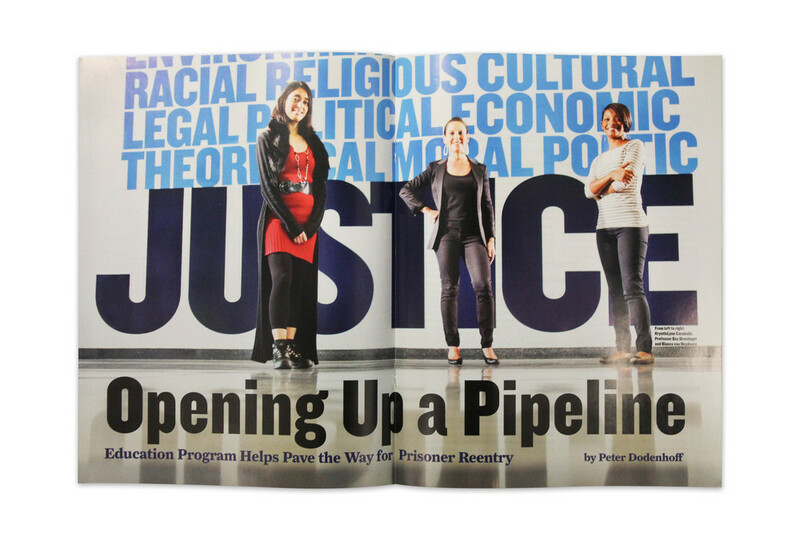 Its theme spawned new programs, symposia, awards and conferences dedicated to exploring, expressing and advancing the meaning and reality of justice. Enrollment exceeded its target, while retention and gradua­tion rates have increased. 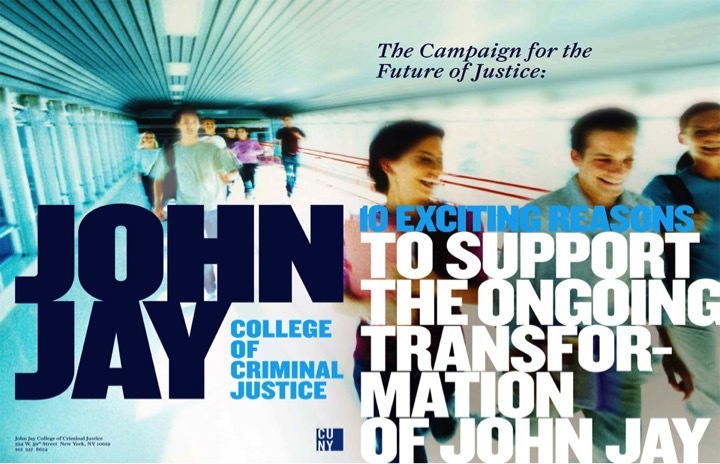 John Jay’s Annual Fund revenue is up 60%, and the College completed its $50 million fundraising campaign one year early! The number of new alumni donors rose 35%. General alumni donors increased 50%. The design and implementation of the program has also been recognized by the Educational Advertising Awards, among others. When you step through the doorway at John Jay - either online or in person at our mid-Manhattan campus - you will be struck by the energy that pervades the College. It's the energy of our world-renowned and engaging faculty; of our high-achieving international student body and our champion athletes; of our commitment to public service and our enduring mission of "educating for justice."